Make a biped walking robot with M5Stack. I tried rendering with Fusion 360 for a change of my mood. 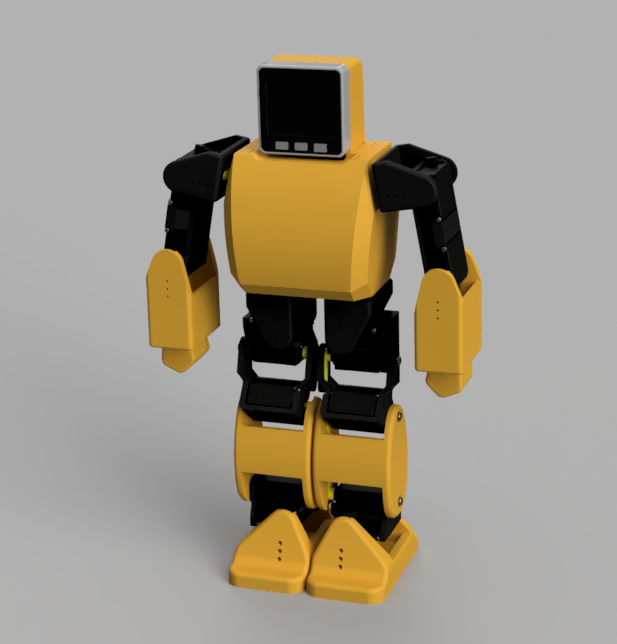 Last time I mentioned that I was designing a biped walking robot made with M5Stack using Fusion 360. I tried rendering with Fusion 360 for a change of my mood. Settings are left as default and nothing has been changed.